The Eargo hearing aid, a revolutionary hearing device that’s virtually invisible while being worn, improves the ability to detect higher-range frequencies and improved speech clarity. The company’s mission, as per the official website, was to create a beautiful, functional and nearly invisible hearing air to safely fit into the ear canal. Since the Flexi Fibers, its patented technology, suspend the hearing aid in the ear canal and will not be plugged in, they sit freely in the eardrum, allowing the device to amplify mid and high frequencies, offering a mix of both ambient and amplified sounds. Unlike most hearing aids, however, its sold directly to consumers without the support of a licensed hearing professional, so it’s best to purchase at your own risk. How much does the Eargo hearing aid cost? The costs of the Eargo hearing aid will depend on a few factors, including the which model you want and where you purchase it from. For the Eargo Max, the newest hearing aid, the costs, as per the official website, is $2,450, while the older model, the Eargo Plus, retails for $1,950, but the prices could be much less in the case of using a coupon code and/or the company holding a sale. Both options offer free shipping, but an accelerated shipping option is available for another $25. For those who cannot afford the price up front, the company did offer a financing plan via the website, dropping to price to as little as $90 a month, depending on the model you buy. The company, at the time of this publishing, also offers a risk-free trial for $0 down. For 45 days, the company allows you to test drive the hearing aid, and if you like them, you can keep them, paying the full price, or in the case you do not like how they fit, work, etc, then you can return it back, with the paying the shipping, too. If your insurance company does help with your hearing aid investment, then the FAQ does mention you can work with the specialists to help you with the paperwork. Talk with your insurance company to know what you may be responsible for if they were to cover this particular brand. The Eargo Max and Plus both come with a 12-month warranty and 45-day money back guarantee. Inside the box, the Eargo Max comes with two devices, six regular Flexi Fibers, two large Flexi Fibers, two regular Flexi Domes, a charger, micro USB cable, USB plug, wax guard and a cleaning brush. The Eargo Plus will come with the same inclusions, with the exception of the two Flexi Domes. Both will also come with a quick start guide, cleaning brush and shower stickers as well. Ongoing support is also available, offering you support from the first day you purchase it with a personally assigned Hearing Professional. To see how it’s unboxed, HearingAidKnow.com displayed a few pictures of how it looks when opening. How do the Eargo hearing aids work? Like most hearing aids, the Eargo hearing aid will feature a microphone at one end that is designed to pick sounds and amplify them, while the speaker located on the other end will broadcast the sounds directly to your eardrum. Unlike most traditional hearing aids, however, the Eargo hearing aid’s microphone will fit directly inside of the ear canal instead wrapping around the ear like the hearing aids you’re accustomed to seeing. Another distinction, aside from the interior microphone are the patented Flex Fibers, which are medical grade silicone devices which will help suspend the hearing aid device in the ear for a natural feeling that prevents it from blocking the ear canal, allowing in airflow and keeping the canal clean as it will remove earwax every time you take them out. In addition to this, these fibers allow in some low ambient sounds to pass through, which basically means it can amplify mid and high treble sounds. The hearing aid features four sound profiles: low, medium, high, and max, and each profile will be designed to work for those who suffer from mild to moderate hearing loss. The acoustic switch built within allows you to change these sound profiles and the volume by holding your hand flat with your fingers and double-tapping your ear. As you do this, the number of beeps will correspond with the sound profile. To learn more about how the devices work, you can view the video below and read the 90+ page manual here. As per the manual, some side effects may occur such as ear irritation, itchiness or redness as your ear becomes used to the device while being worn. If you feel any mild side effects, the company wants you to reach out to them for advice. As for other side effects, albeit rare, such as irritation, earwax buildup and/or discharge, then you will want to reach out to a medical professional immediately. The company claims these hearing aids are only designed for those who are suffering from mild or moderate hearing loss and is not recommended for those who suffer from profound hearing loss. 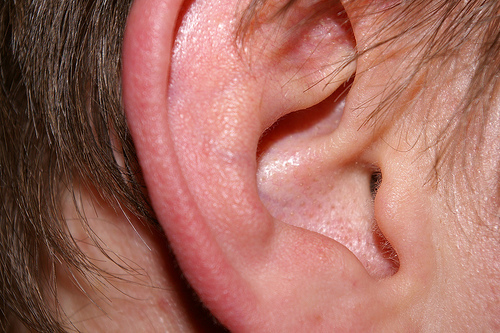 Additionally, due to the open fitting, consumers with low-tone hearing loss may not benefit as much as you think. Popular Science did name the hearing aid the most comfortable in 2015. When fully charged, the hearing aid is said to stay fully charged for up to 16 hours and can be recharged in as little as six hours using the included charger, and the company recommends you charge your hearing aid at night. As for the included carrying case charger, this can hold a charge for up to seven days, but to be certain how much power is left, the indicator lights, when the hearing aid is plugged in, will show you exactly how much power is left in the charging bank. The Eargo Plus is an FDA registered Class I hearing aid.